Every one of our treatments has been specially designed by health & beauty expert Julie Coates, to make you look and feel amazing. Julie, salon owner of The Lanes Health & Beauty is a regular contributor to Now magazine and is frequently featured in the national media providing beauty tips and advice. Julie is also the beauty expert for vajazzle.me.uk. The salon itself has been featured on ITV2′s Katie and Peter, What Katie Did Next and Channel 5′s The Boss is Coming to Dinner. 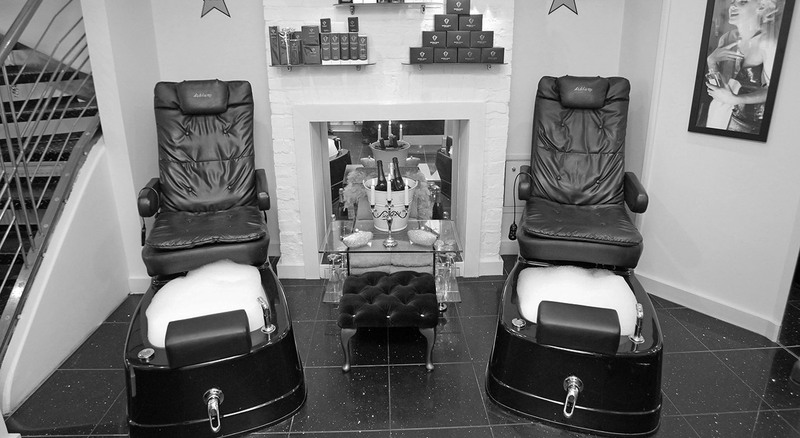 Enjoy a spa pedicure in our massaging state of the art pedi-chairs, a high-tech ‘face-lift’ facial in our Hollywood inspired treatment rooms, or a relaxing massage with a friend or partner in our double treatment room. Continue your beauty regime at home, with a wide range of professional products for purchase. Special offers are available throughout the year, please ask for details. If you have to cancel your appointment please provide us with 24 hours notice to avoid a minimum fee of 50% being charged. Missed appointments will be charged at the full treatment cost. The perfect gift, vouchers are redeemable against treatments and products at the salon and are valid for 6 months from issue date. Gift vouchers are non-transferable or refundable. On booking we may ask for credit/debit card details to secure your appointment. For the benefit of all clients and to comply with health and safety regulations, children cannot accompany parents into the treatment room. We do not have the facility to supervise minors whilst parents are being treated. Clients must be over the age of 18; however, some treatments can be applied to those between 14 and 18 years, provided a parent or guardian is present to sign a consent form. All of our treatments are suitable for men. Please bring suitable shorts or swimwear for body treatments.